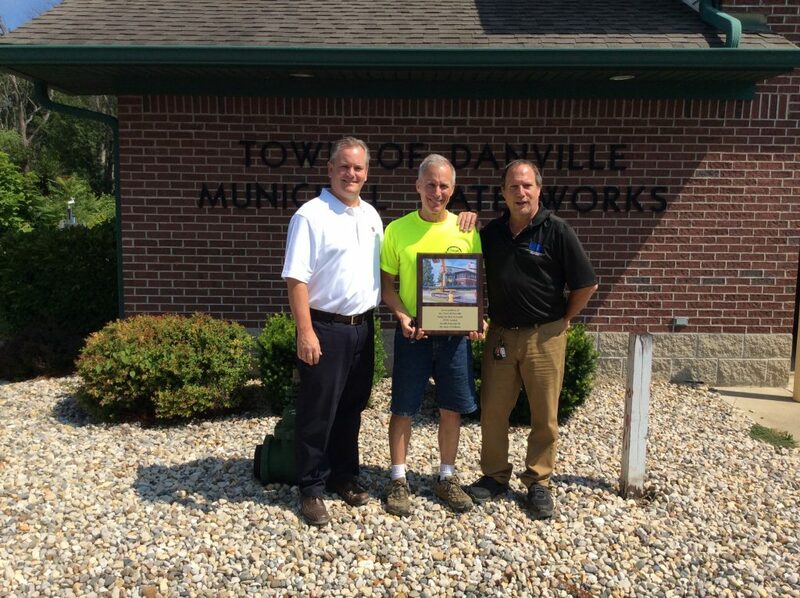 Pictured left to right are AMERICAN Sales Engineer Phil Marin, Danville Water Superintendent Jim Russell and Team EJP Sales Representative Lou Townsend. Photo courtesy of Team EJP Sales Representative Lou Townsend, West Indianapolis, Indiana. 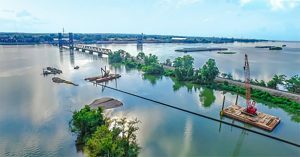 The town of Danville, Indiana, recently became the first in the state to specify and install zinc-coated ductile iron pipe. 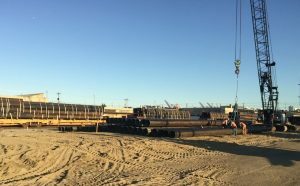 The 1,500 linear feet of 6-inch zinc-coated AMERICAN ductile iron pipe was used in a replacement project. 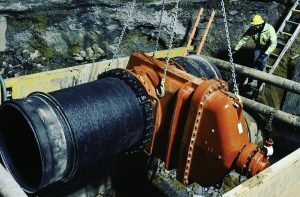 Water Superintendent Jim Russell worked with Kent Elliot of Banning Engineering to specify zinc-coated ductile iron pipe – a product that will improve lifecycle costs and decrease long-term maintenance needs. CSU of Plainfield, Indiana, served as the contractor on this project, installing the zinc-coated ductile iron pipe. Team EJ Prescott (EJP) Service Technician Bill Kershaw performed two taps on the newly installed pipe. Also instrumental in the first zinc installation in Indiana were Team EJP Sales Representative Lou Townsend and AMERICAN Sales Engineer Phil Marin. Zinc pipe is manufactured by applying a coating of zinc to the pipe’s outer surface. This coating, which AMERICAN introduced domestically in spring 2015, extends the life of iron pipe and protects millions of feet of cast and ductile iron pipe in aggressive environments around the world. Adapted, with permission, from an article that appeared in Everett J. Prescott Inc.’s Fall 2016 Newsletter Peptalk, and written by Team EJP Marketing Manager Amanda Vasvary.